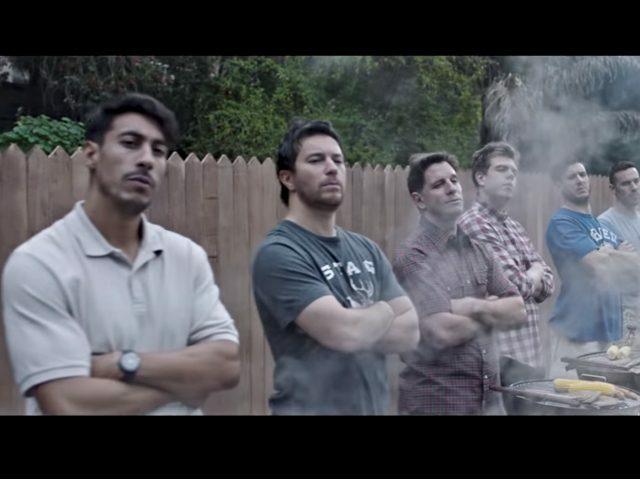 Every man who is not a ‘this is what a feminist looks like’ mangina loathes the new Gillette ad. Many have held it up to scorn. I used to love beating up kids at barbecues. Now I realise that is wrong. Also, my balls have never been smoother. Thanks, Gillette. But what if, actually, Proctor & Gamble’s “toxic masculinity” ad campaign turns out to be a stroke of genius? What if the reward it reaps in increased sales far outstrips any losses that may result from the fury it has caused its male customers? The parallels with Nike’s Colin Kaepernick campaign are disturbing. Initially, Nike’s favorability ratings took a 15-point hit when the sportswear brand chose provocatively to associate itself with the national-anthem-dissing, perma-kneeling, afo-sporting NFL star. But the subsequent #boycottNike campaign never really took off. And, as a result of the ad, Nike’s sales increased by 61 percent, boosting the company’s value by $6 billion. Perhaps it’s true that in advertising there is no such thing as bad publicity. Whatever you think about those Gillette ads, it is currently the world’s most talked-about brand. Personally, I’m now going to go out of my way to avoid using any more Gillette products if I can. But it might not be as easy as I’d hoped. I was about to subscribe to a company called Harry’s Razors, which delivers shaving products by post. Today is International Men’s Day. Believe it or not, that’s a thing.